Today was very exciting day. Matsuri is a fall festival. This big drum came over to my apartment nearby. Finally, a fall comes in our town! 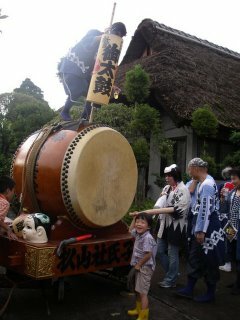 When I was a kid, Matsuri was very exciting. Oh what a fun start to Fall - I wish we had something like that here! In Japan, fruits are very delicus.